These newly designed leather fly wallets are made from natural vegetable tanned leather & feature six pages made from 100% wool felt to hold all your wet flies, nymphs, & streamers. The have two inside pockets for holding leaders, tippets, etc. 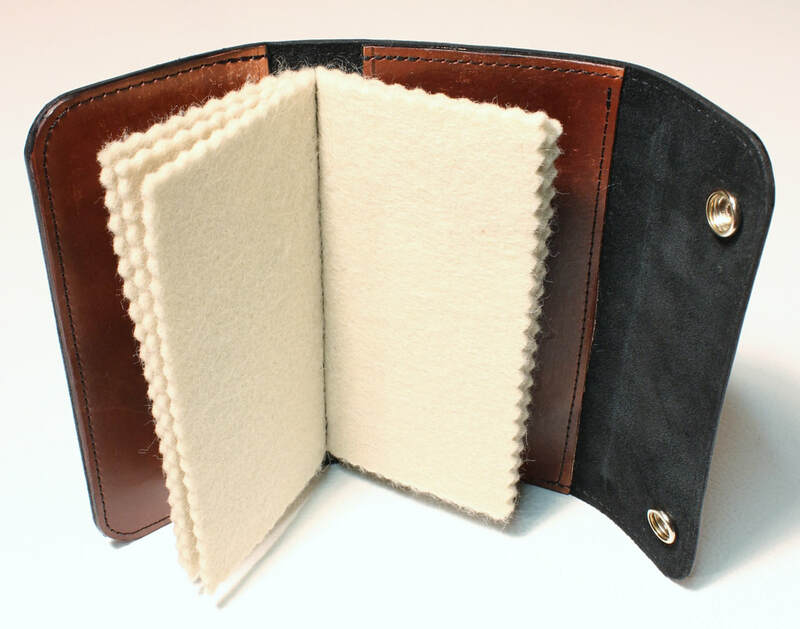 Each wallet is completely lined inside with a soft black suede leather. 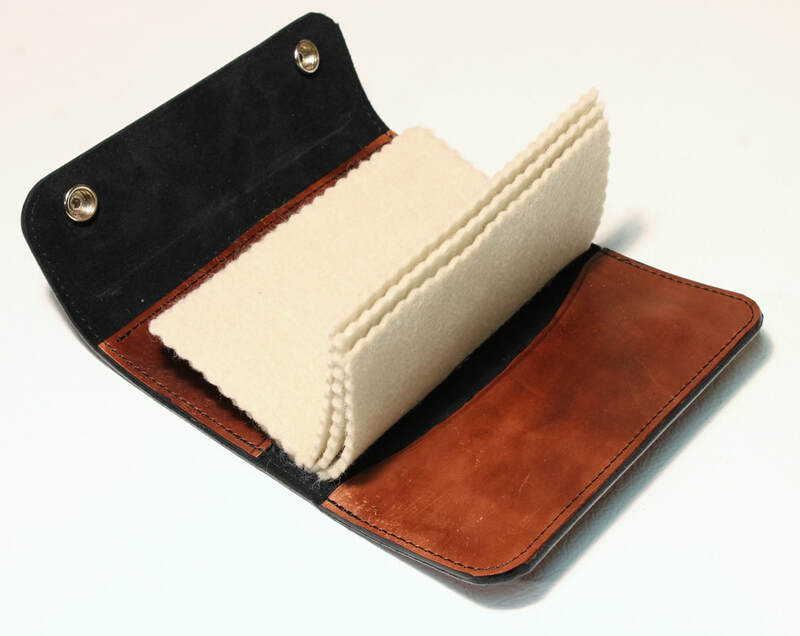 The edges of the wallets & pockets are dyed black & polished for beautiful finished edges. The stitching is done in a heavy duty black thread to ensure that these wallets are made to last a lifetime. 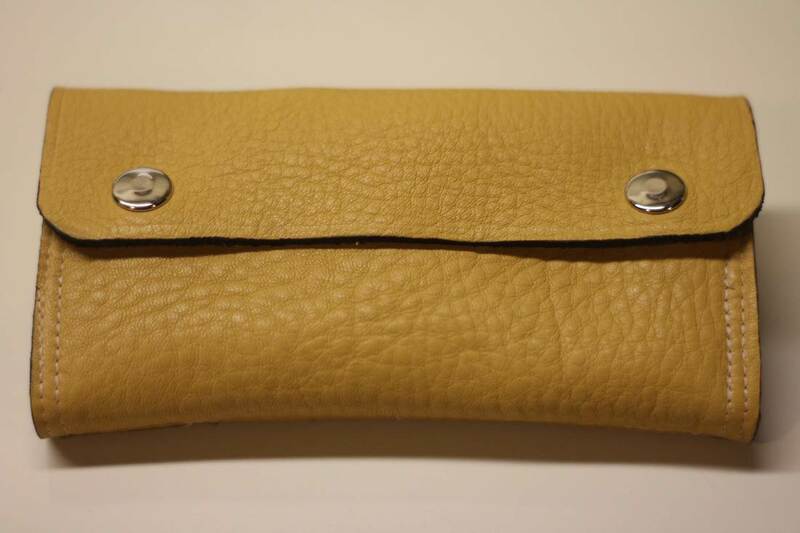 For more details about these new wallets & to see more photos, please visit the Accessories page of this website. 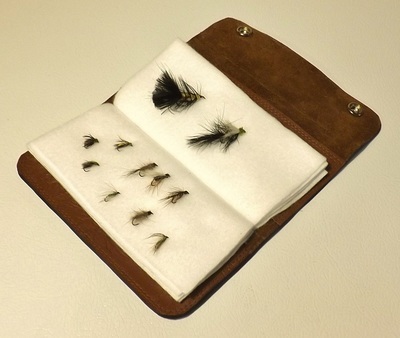 The discounted fly wallets listed below are of limited quantities. If you see ones you want, please contact me as once they're gone there will be no more made. These are the wallets I currently have available. 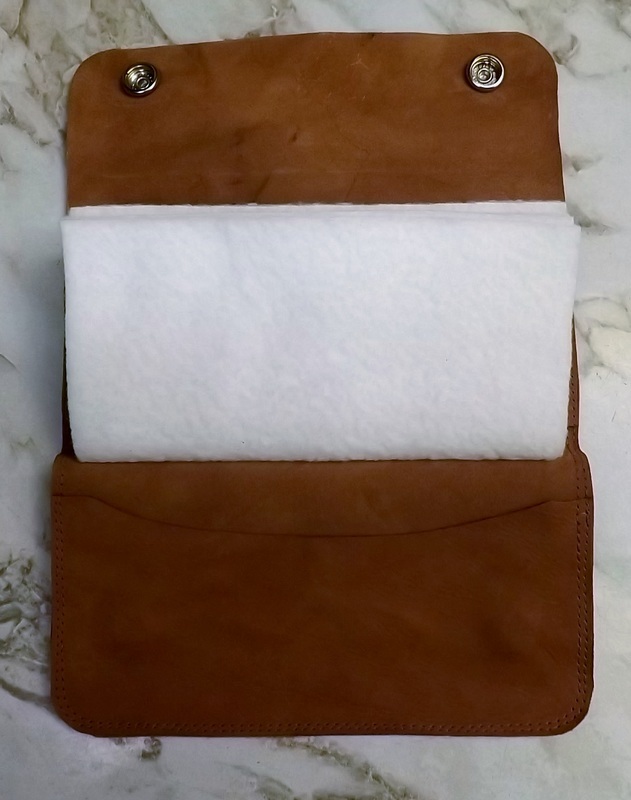 All the wallets are made of the same construction; that is, they all have 6 or 8 white soft cloth pages to hold the flies (depending on the thickness of the leather), snap closures, & two inside pockets. 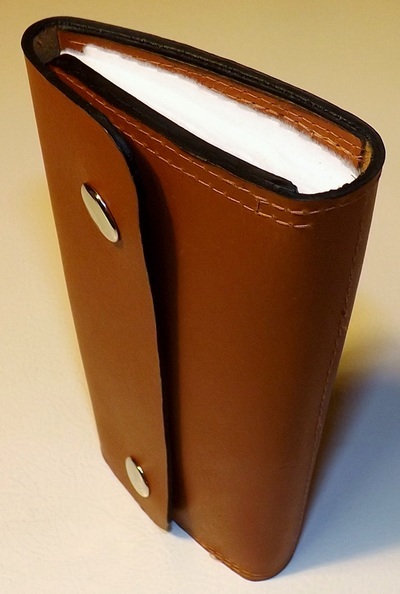 Each wallet measures approx 6 7/8" long x 3 1/2" wide when closed & 10" when open & laid flat. I highly recommend using only barb-less hooks in these wallets. The price for each wallet is $39.00 + $8.00 for shipping (to lower 48 states). ON SALE!!! NEW PRICE: $27.00 + $8.00 SHIPPING. ​I've done my best to represent the color of each wallet in the photos. Please keep in mind that even the best camera cannot compare to the human eye. Also, please know that leather is a natural product. Therefore no two wallets will be exactly alike. Yours may be slightly different than the one in the photo. 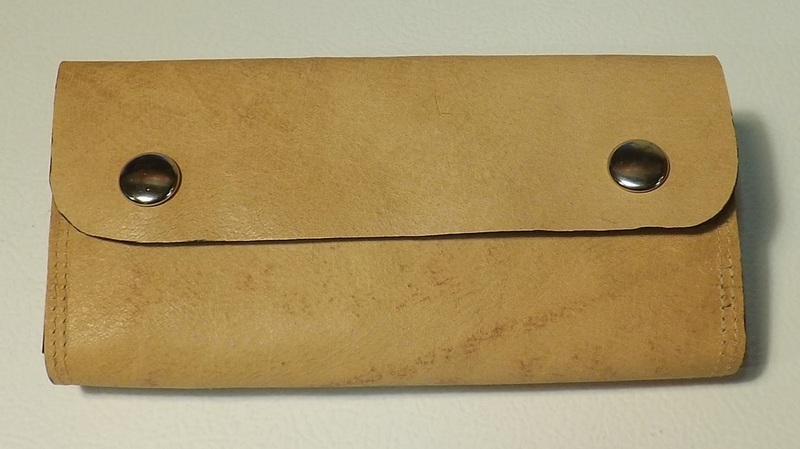 Wallet #1: This is a very soft, Thin, & highly textured light brown leather. Very supple. ONE in stock. 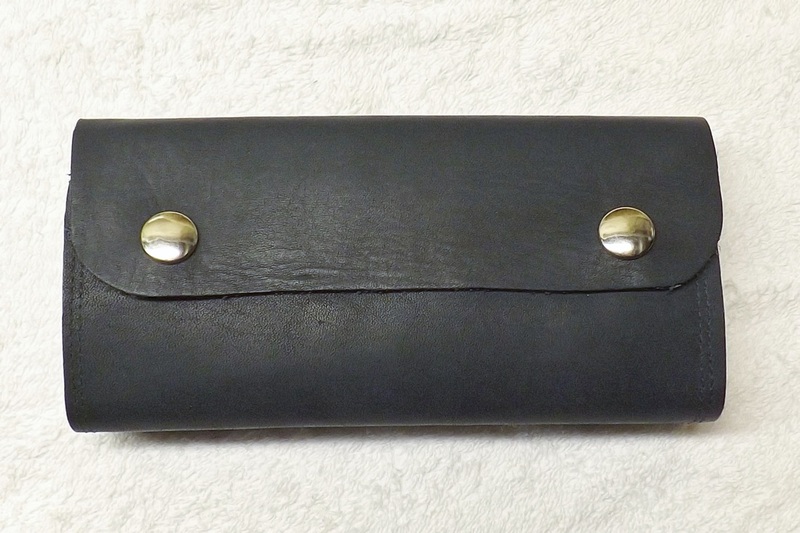 Wallet #2: Regular black leather, much like the leather used to make a biker's vest, etc. A very durable leather. ONE in stock. 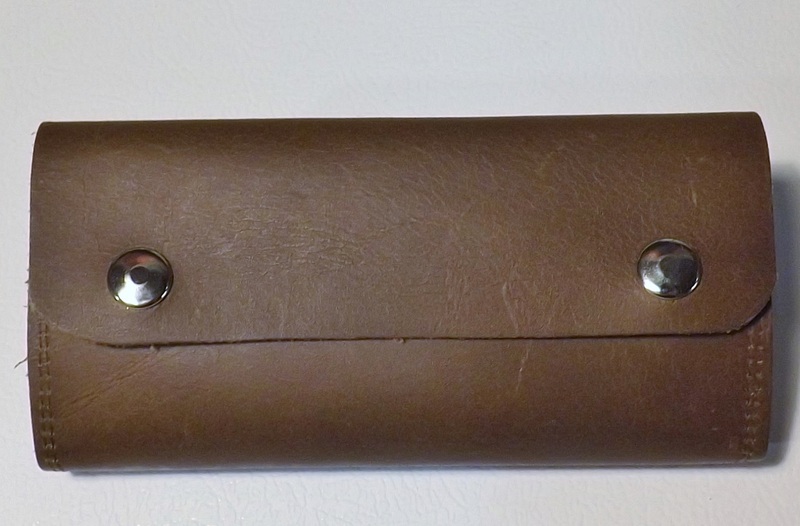 Wallet #3: This is a darker, rich brown leather. It's a little thicker leather & has some beautiful grain in it. Currently ONE in stock. 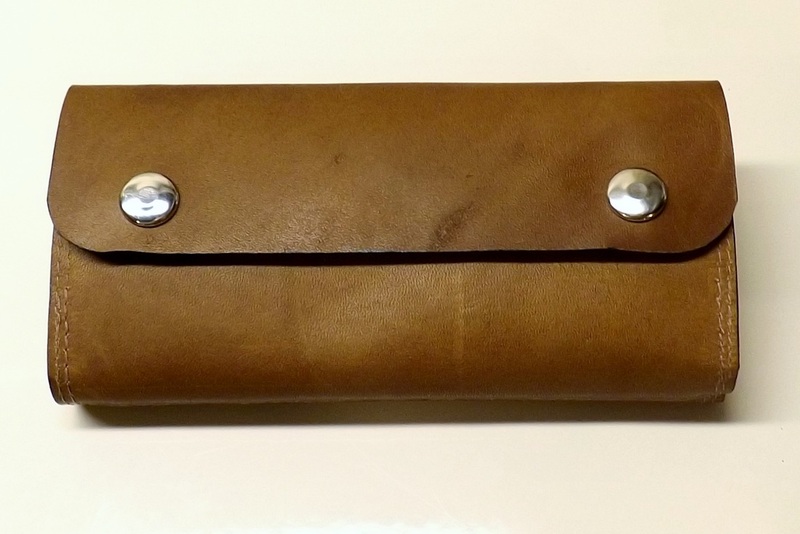 Wallet #4: Grey leather. Medium thickness, lightly colored grey leather. It has a softer texture & feel in the hand. Currently ONE IN STOCK. 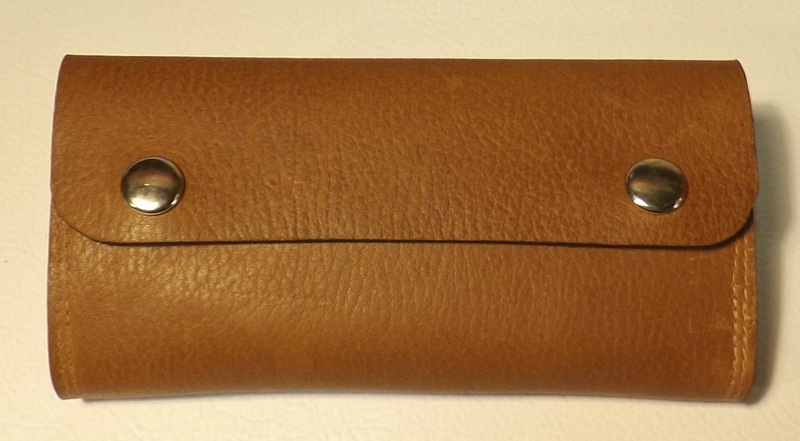 Wallet #5: This one is a light brown / tan, smooth leather. It's a thinner leather, but still has some rigidity to it. here's some very nice, subtle grain marks in it. A classic leather much like the kind seen on fine furniture. Currently ONE IN STOCK. Wallet #6: This is a very soft & supple wallet made from a gorgeous tan colored leather. It has a distinguished pebble grain with some distinct 'range marks' on the leather - places where the animal rubbed up against a fence, got scratched, etc. 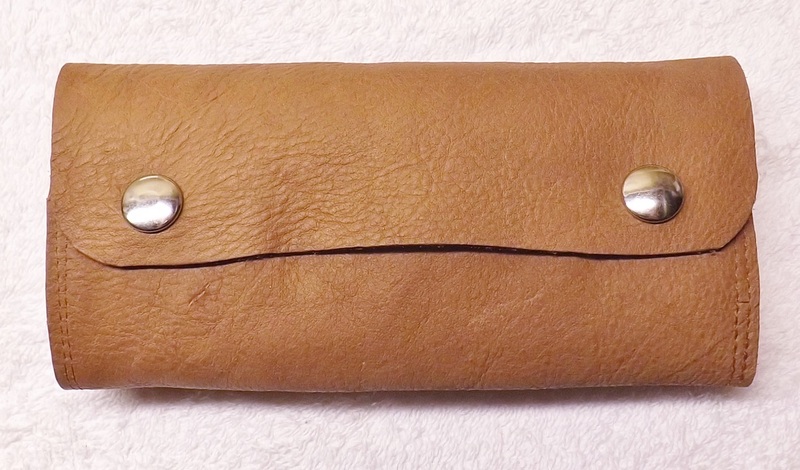 These naturally occurring marks give this wallet character. While it's a very soft leather, it is quite durable & will hold up to heavy use. 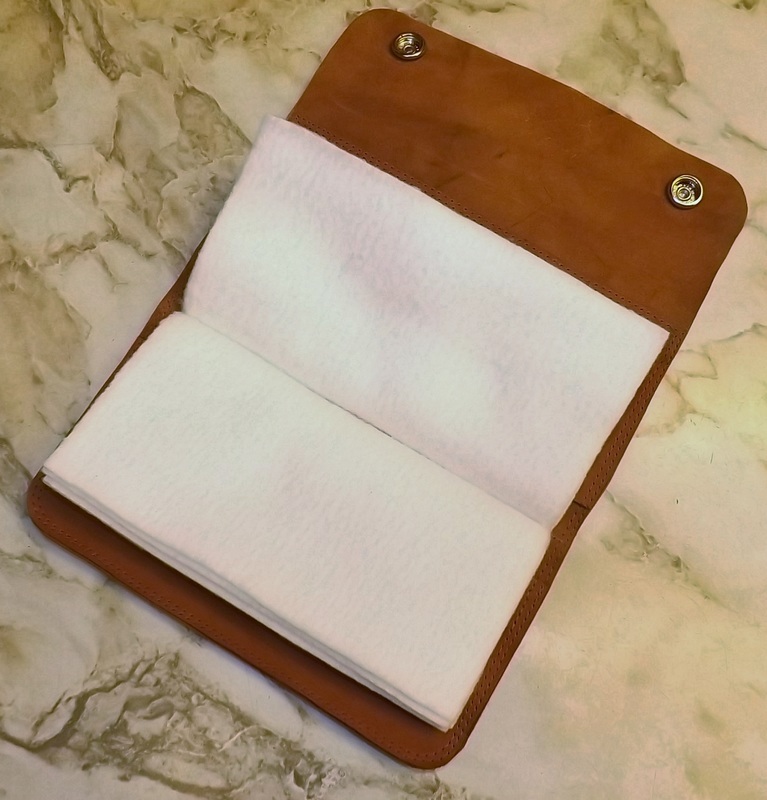 A smooth, soft, & lovely fly wallet. Currently ONE in stock. 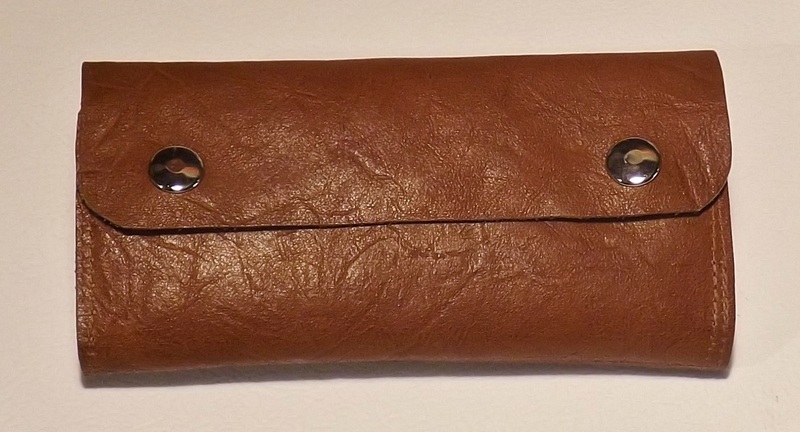 Wallet #7: Made from a medium brown textured leather, this wallet is a little softer, but still has some "body" to it. The grain is very distinguished in this wallet for those of you who like a brown leather with some grain texture in it. 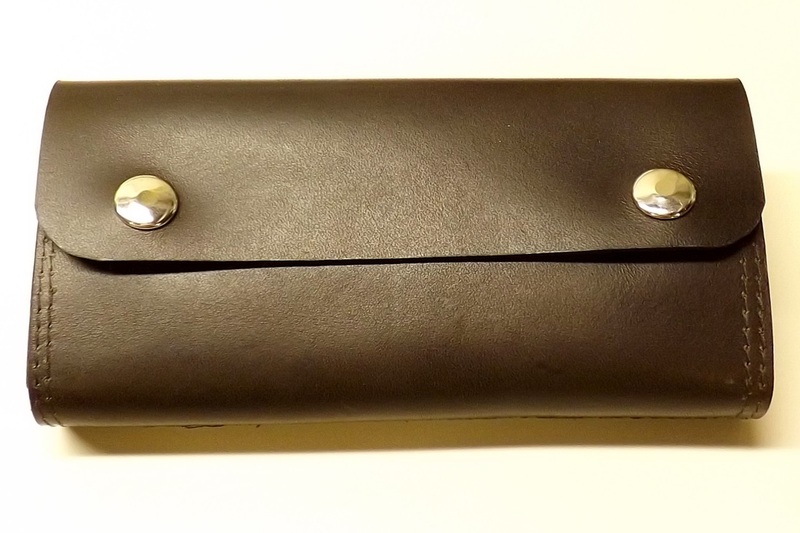 A very nice, comfortable fly wallet. Currently ONE in stock. Wallet #8: A nice, medium toned brown wallet. This leather is thicker, & so a little heavier, yet it is still pliable & feels great in the hand. 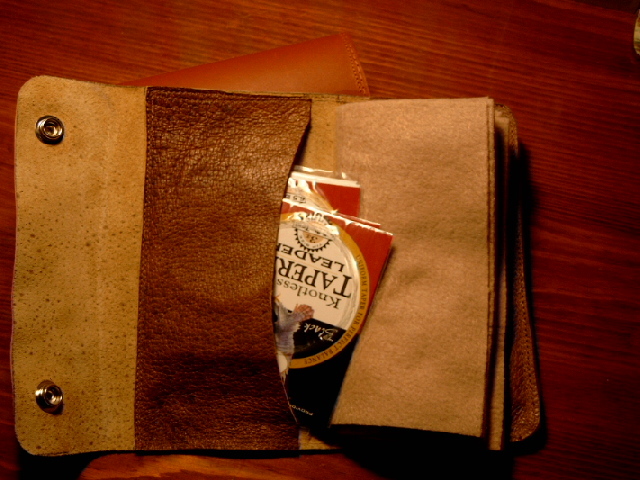 A very fine wallet with natural pebble grain. Currently TWO in stock. Wallet #9: This is made from a natural, vegetable tanned leather. It will most certainly patina with age & use. There are some distinctive grain marks in the leather, giving it character. This is thinner leather, & so the wallet is lighter in weight. 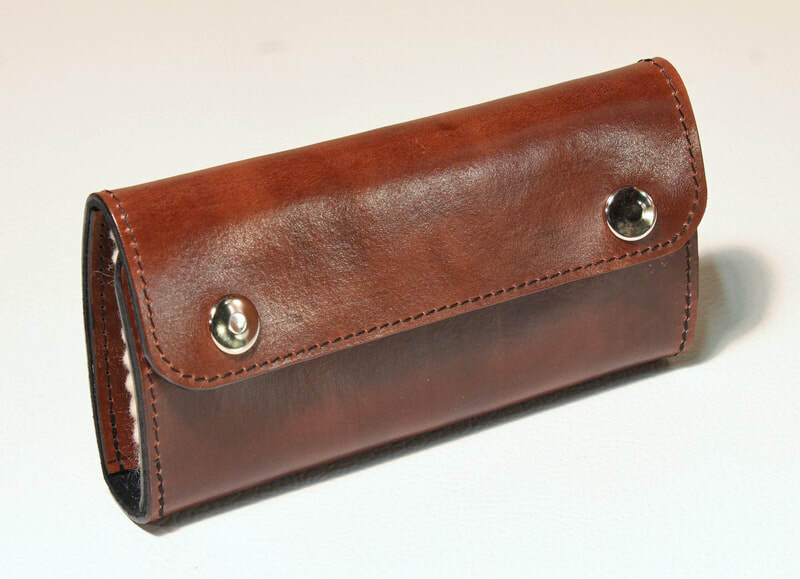 Wallet #10: A Beautiful rich, chocolate brown leather. It is a little thicker & so has some "body" to it. Gorgeous texture & smell of fine leather every time you open the wallet. A wallet with classic good looks. The photo just doesn't do it justice. OUT OF STOCK. 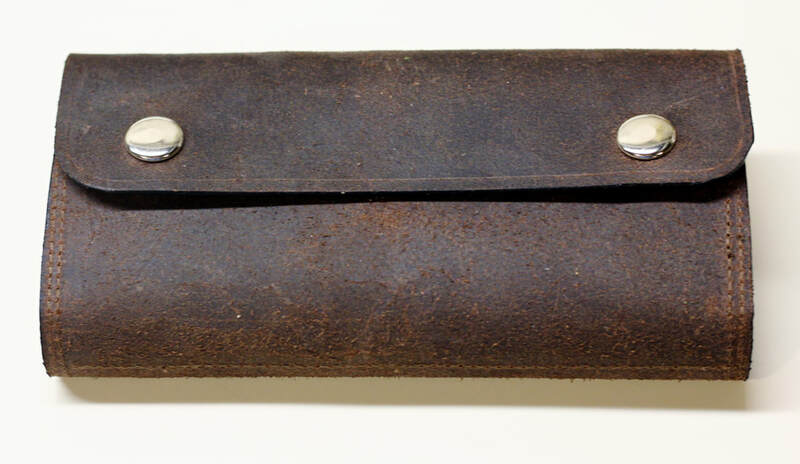 Wallet #11: This wallet is made from an oil-stoned leather, giving it not only an aged & weather appearance, but also makes it one tough leather. As it is treated with oils & waxes, giving it a deep, rich appearance, it's ideal for any gear that will be used in the outdoors. Plus the smell of this leather is truly a joy to the olfactory system, as it gives that classic leather smell every time you open it!! 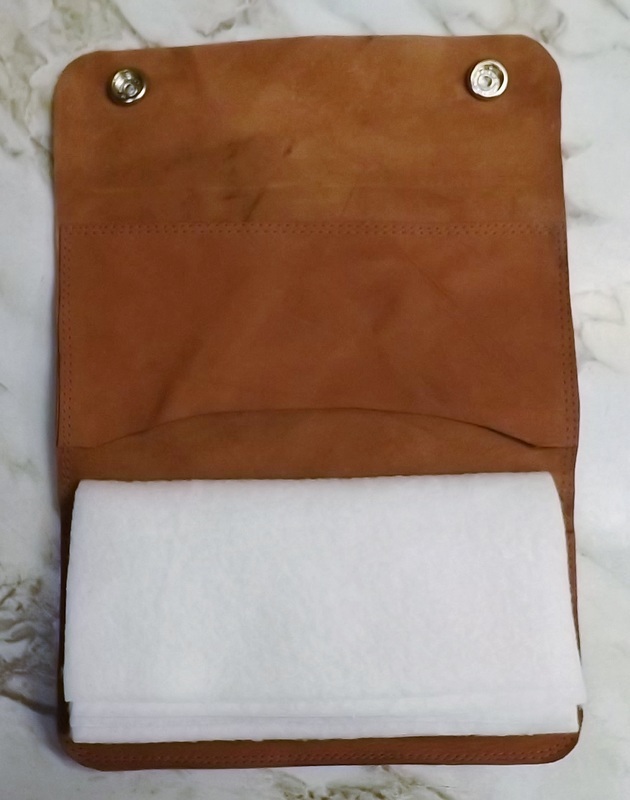 This is a very durable leather that is also water resistant. 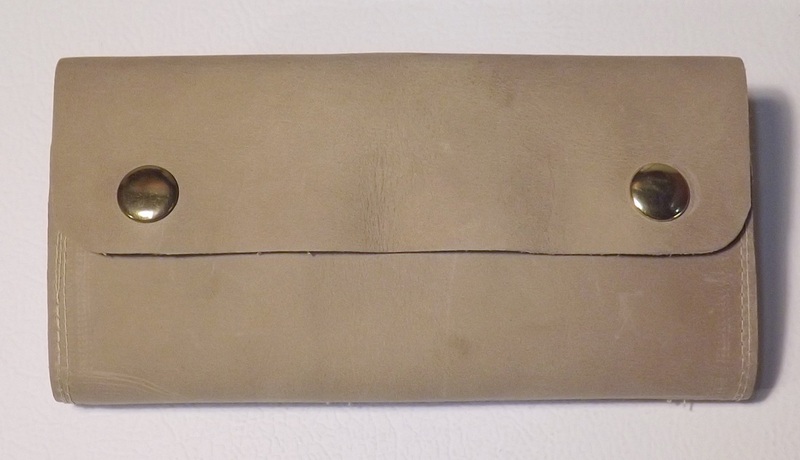 For those of you who want a leather fly wallet to stand up to the toughest elements along a stream, while having that aged, rugged look to it, this is the one for you. (to read more about it, please click HERE). TWO in stock.